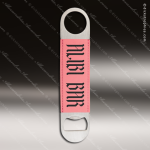 Are you looking for a way to promote your business without breaking your advertising budget? 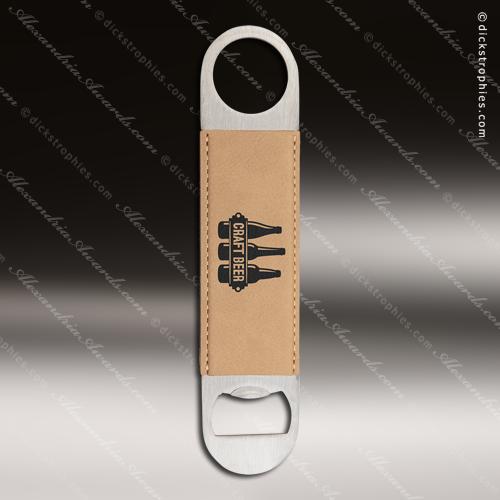 Take a look at these stainless steel bottle openers that are wrapped in leatherette. Leatherette is a man made material that has the high end look and durability of leather at a fraction of the cost. Personalize them to gold for eye catching contrast with your business logo and information and this handy opener makes a great promotional item to get the attention of new potential customers, or even to reward current customers for their loyalty. Whether a promotional item, incentive, or personalized gift, it's something almost everyone uses and can always use another. Are you looking for a way to promote your business without breaking your advertising budget? Take a look at these stainless steel bottle openers that are wrapped in leatherette. Leatherette is a man made material that has the high end look and durability of leather at a fraction of the cost. Personalize them to silver for eye catching contrast with your business logo and information and this handy opener makes a great promotional item to get the attention of new potential customers, or even to reward current customers for their loyalty. Whether a promotional item, incentive, or personalized gift, it's something almost everyone uses and can always use another. Are you looking for a way to promote your business without breaking your advertising budget? 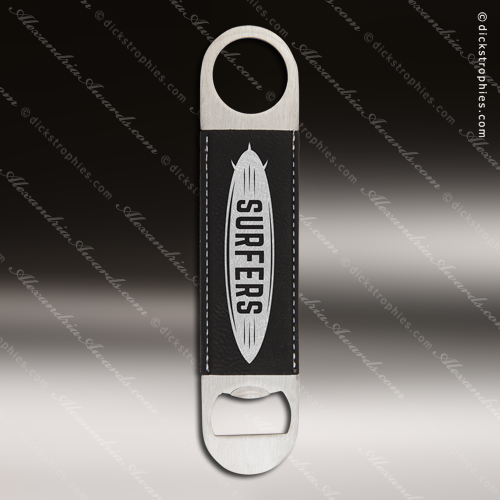 Take a look at these stainless steel bottle openers that are wrapped in leatherette. Leatherette is a man made material that has the high end look and durability of leather at a fraction of the cost. 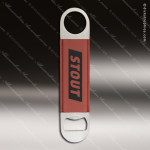 Personalize them to black for eye catching contrast with your business logo and information and this handy opener makes a great promotional item to get the attention of new potential customers, or even to reward current customers for their loyalty. Whether a promotional item, incentive, or personalized gift, it's something almost everyone uses and can always use another.